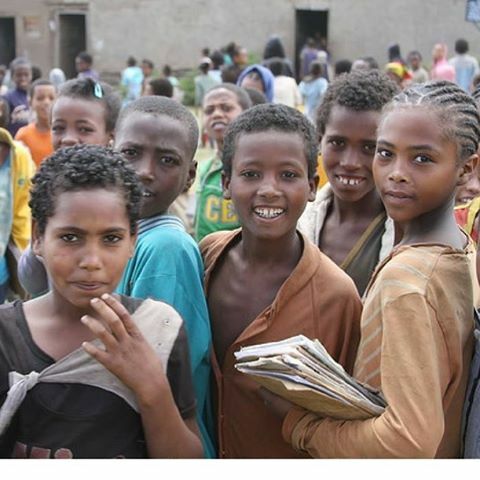 What Causes Gender Inequality at Rural Ethiopian Schools? As a boy, our Advisory Member Desta Seyoum lived a traditional rural farming life in the same Ethiopian Kebele as The Duna-Sadicho School. He remembers passing through Duna Sadicho village on his way to Secondary School giving him many chances to witness the needs of the community. Desta, who now lives in London, just returned from Ethiopia after a prolonged family visit in the region and was able to talk to us more about inequalities in Duna Sadicho, specifically addressing the problems that girls face in the region. He is very worried about gender inequality at Duna Sadicho School, and quickly points out the number of girls drops even lower at the secondary school level as girls are unable to pass the required national exam to continue their education. By providing school children with essential learning materials, Roots Ethiopia will help rectify the gender inequality at The Duna Sadicho primary school. These basic learning supplies will give girls what they need to stay in school, pass their national exams, have the opportunity to continue education, stand a chance of going to college, securing an employment and eventually becoming significant contributors to their community. Help Ethiopia by donating to The Duna Sadicho project today! We are 40% of the way there and need your help in taking step one to rectify the gender imbalance at this rural Ethiopian School. Previous Previous post: Meet Eyerusalem, a 5th Grader with Big Dreams! Next Next post: Educating Girls in Ethiopia!